Planning for a baby is a bit like planning for a wedding. If you haven’t done it before it’s a whole new world and this world takes you to shops, websites and blogs that you would never have gone near before! This has meant I now have a long wish list of items I would love to have for baby cub (or maybe it’s more like for me!). It’s not that we need them all, in fact baby cub already has a wardrobe that is starting to look a little full, just like my own! But wish lists don’t have to be too practical do they? So I thought I would share my top wishes, some I have already cracked on and gone and bought (I couldn’t help it!). All full of colour and with a retro twist. Sleep is something I have been told by many to say goodbye to when we have baby cub but now I have got my hands on one of these pretty Gro baby Swaddle‘s I’m not worried! Sold as a snug and secure way for baby cub to feel just like she did when she was in Mum’s tummy it hopes to result in a good nights sleep for all the family. 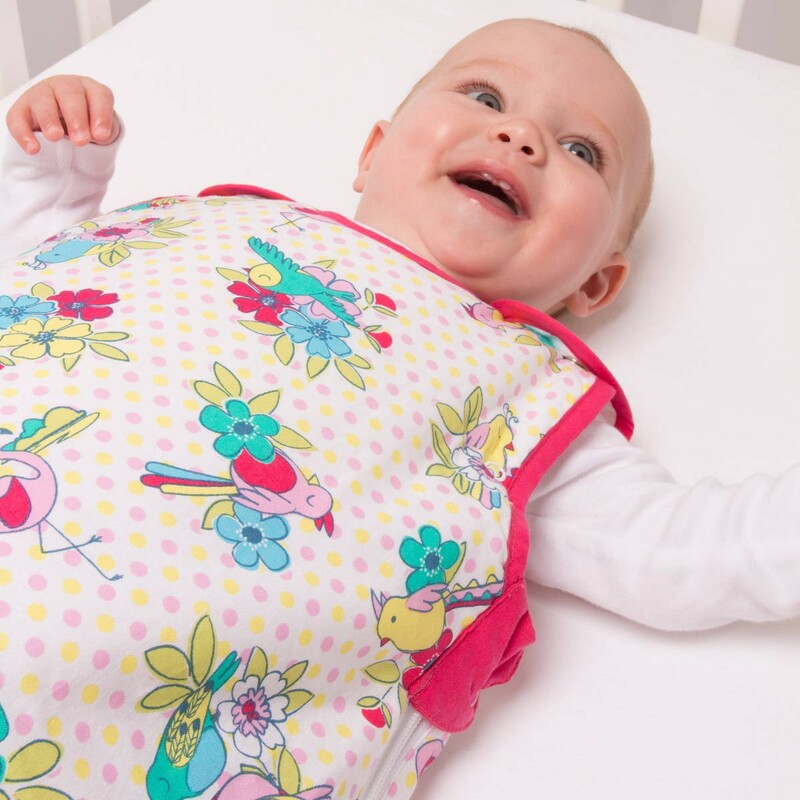 Gro’s swaddles are practical, soft and all with pretty patterns. My close friend has used swaddling for her little one and at our NCT class a couple said their little one wouldn’t sleep without being swaddled. She now sleeps through the night! What a result. I only hope the same can be said for our, soon to arrive, bundle of joy. Without any poppers or ties it means they can be used easily, handy for someone with two left hands like me. A must have on any new parent’s wish list. I also spotted this fabulous Grobag from The Gro Store when I saw the Swaddles, with kissing rabbits on – could you get any cuter? Honestly this is not helping my well established shopping addiction. I am now shopping for two instead of just little old me; double trouble. Baby clothes are something I can’t stop buying and the collection Boden have are traditional with a cute retro feel. I wouldn’t mind the cardigan in my size also! Would it be wrong for Cub and I to match? I came across this website after seeing the company in a baby magazine. With the fabulous name ‘Ketchup On Everything‘ I knew this would be my kind of site, after all I love ketchup and really do have it with everything, even baked beans, to the wife’s horror! These pictures for a nursery made me smile and you can even personalise them. The wife and I have had some interesting talks about the changing bag. Needless to say we have very different tastes and so I’m naturally pitching for one each. 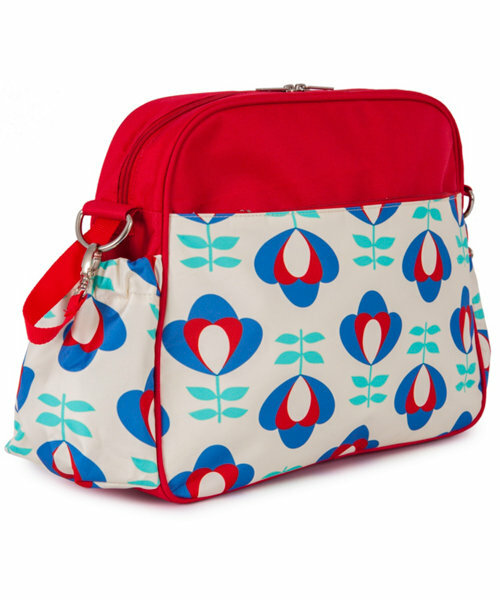 I’m a fan of this Rosebud changing bag from Mothercare as my one. I came across this company on Instagram and am so pleased that I did. The blankets are pieces of art and must take hours to make. They are so colourful and fun. Who wouldn’t want one of these on their wish list? I think they would also make a perfect gift – hint hint. Orla the Gro egg room thermometer lets new parents know if the room is too hot or too cold for baby. I love that this thermometer is practical yet looks like a sweet children’s night-light. It does come with other animal tops but the wife liked the owl, after all it is a night light. It has a guide on the back of the egg with tips on what to do if it’s too hot or too cold and turns different colours – so it’s really clear for complete parent novices like us. We bought this a while back and the first time I put it on I got all worried that the nursery was too hot! It was July…. Liberty has paired up with Mamas & Papas to create a collection to die for. It’s floral prints and traditional styles with a vintage twist are like the collection was made for baby cub! I am so much in love and want it all. It goes on sale next week. I absolutely love the idea of this light that you can customise, adding what ever saying or message you like for baby’s room. It’s not really something one needs but wish lists shouldn’t be just about the practical bits. So there you have it, a list fit for a princess! I want it all! Can you have a baby gift list like for weddings? Only joking…. (well kind of). See anything you like for your little one or to make a perfect gift? Even if you don’t have children it’s hard not to love these finds. Any of you own any of the items on my wish list? I would love to hear from you. “The Gro Store sent me the beautiful and soft Butterfly Gro Swaddle for baby Cub, Thank you so much Gro”. I’m hoping so! The problem is I can’t stop shopping!!! It’s all so cute. The cub will need her own suite of rooms at this rate! The nursery just won’t be big enough to fit everything in! You may be very right! She isn’t even here yet and already every room in the house is full of baby things. But I wouldn’t want it any other way! It’s been really handy the Gro egg as you don’t think it’s warm and then it tells you it is! Follow Mrs Fox's blog with just one click! Enter your email address to follow my blog and receive notifications of new posts by email - how very modern. There’s a new Fox in town! Tea and Cake is a must! How many can I have? All set up and of course having tea! Mrs Fox with Laura and her coat! Anyone for a tea party? Cake! I just love cake, but then who doesn’t? 33,021 hits (sounds a bit dangerous) - thanks for viewing and come back soon!